- Valid for Takeaways only. - Offer not valid with any on-going promotions, discounts, privileges, offers or vouchers. 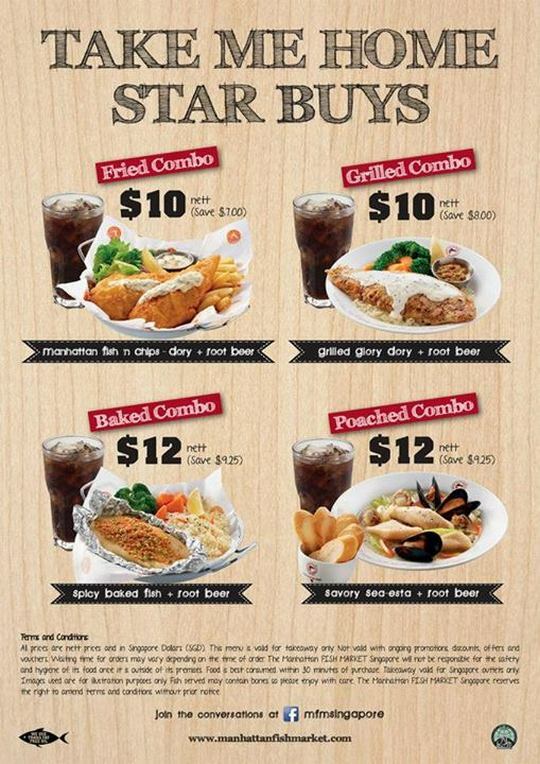 - All prices quoted are netted and are in Singapore Dollars (SGD). - Food is best consumed within 30min of purchase. - The Manhattan FISH MARKET Singapore reserves the right to amend the terms & conditions without prior notice.